Since September 11 and the commencement of the "war on terror," the world's attention has been focused on the relationship between U.S. foreign policy in the Middle East and the oceans of crude oil that lie beneath the region's soil. 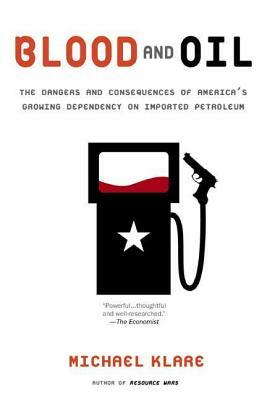 Klare traces oil's impact on international affairs since World War II, revealing its influence on the Truman, Eisenhower, Nixon, and Carter doctrines. He shows how America's own wells are drying up as our demand increases; by 2010 the United States will need to import 60 percent of its oil. And since most of this supply will have to come from chronically unstable, often violently anti-American zones—the Persian Gulf, the Caspian Sea, Latin America, and Africa—our dependency is bound to lead to recurrent military involvement. Michael T. Klare is the author of fifteen books, including Resource Wars and Rising Powers, Shrinking Planet. A contributor to Current History, Foreign Affairs, and the Los Angeles Times, he is the defense correspondent for The Nation and the director of the Five College Program in Peace and World Security Studies at Hampshire College in Amherst, Massachusetts.